interpret the recent analysis work of Antiy CERT. is there any subtle relevance between them? some connections between Heartbleed and Bash Shellshock, then this is it. 1.14.0 to 4.3, and version 4.3 was the latest when GNU Bash was being revealed. all the research institutions have determined it as the highest response level. 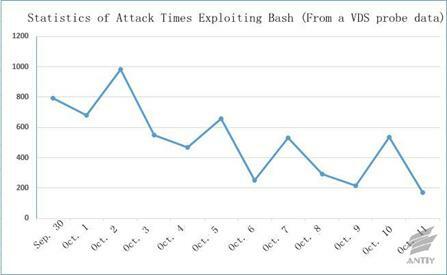 some attack incidents rapidly appearedon Internet. 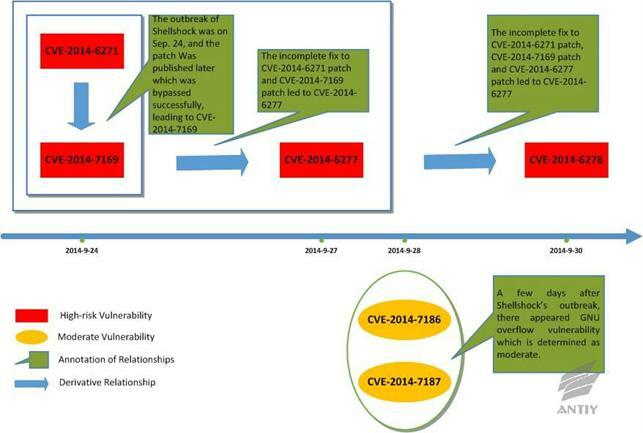 vulnerabilities of Bash, CVE-2014-7186 and CVE-2014-7187, were revealed. 3)Finally, executing Bash Shellshock test command,see Figure 2-3, the execution of Bash Shellshock successes. attack payload; but the problem of invalid downloading address still exists. files are the key malware that should be extracted. payload, the packet content is changing regularly with time passing by. ØThen the packet in unfixed positions with attack payload appears,see Packet example 4. 3.2.4Packet example 4: Attack payload at GET, Cookie,User-Agent, Referer etc. times. 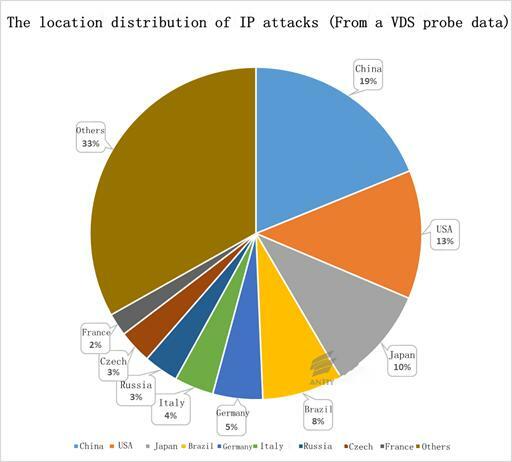 The IP addresses of the Top 10 attacks formed Table 3-2.
this botnet. Table 4-1 is the evolution contrast based on regular.bot. the downloading of a file and a.c file without any execution. downloading perl script and 64 bit elf file to execute, automatic update. update modified the server address to x.secureshellz.net. 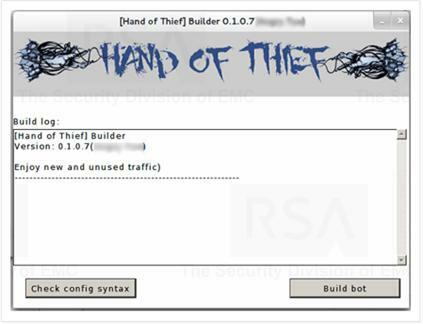 vulnerabilities and exploit latest vulnerability to spread and develop botnet. perl script to the target machine and then executed it. in perl script, which have identical codes except for the server IP and port. Following is thescreenshotof part of thecode. IRC server, discovering that only one IP address can be connected. connection was added.It couldbe determined that the attack continued. be traced back to October 7, 2014 or earlier. quite active over a period of time. first packet abstract is a typical python worm. saving, which can be re-used. systems, and also be applied to most Unix-like operating systems. grown into a large family called Unix-like systems. 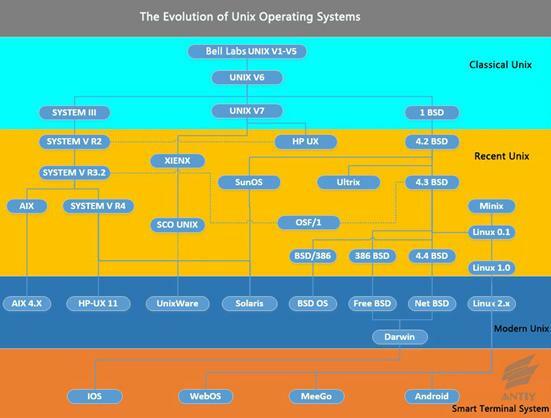 well as systems similar to traditional Unix systems such as Minix, Linux and QNX. 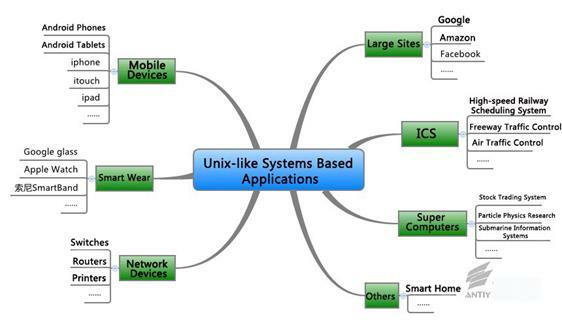 shows the roles Unix-like systems play in different fields. the derived Android systems that have major analytical significance. fewer vulnerabilities may simply because they are not paid attention to. statistics may not indicate any real problems. families on the 5 mainstream platforms: Linux, Unix, OSX, AndroidOS, and IphoneOS. Each family is likely to include several or even a large number of variants. 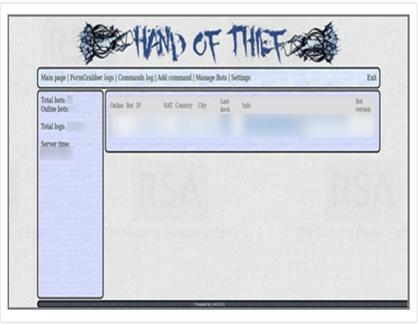 software to reach purposes such as attack and scans. 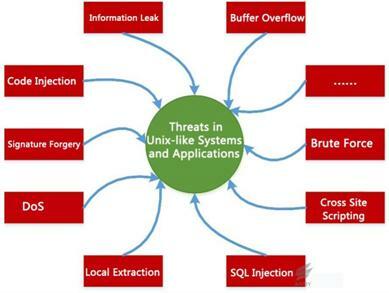 lists the common security threats in Unix-like systems and applications. so we compiled some typical cases. three years when first discovered. in the function StgCompObjStream::Load() of OpenOffice. insufficiently allocated buffer, which will then trigger a heap overflow. heap overflow appears when LZW extractscontents of GIF files. sprmTSetBrc table properties in Word documents are parsed. 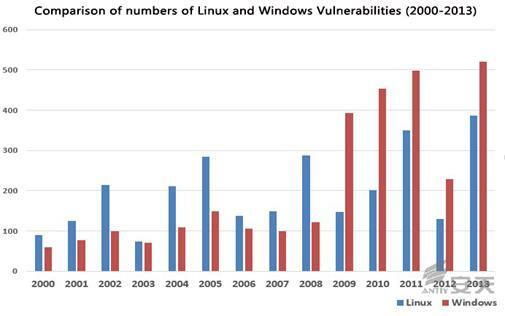 vulnerabilities of LibTIFF published in different years. calculate the size of raster buffer, eventually leading to a heap overflow. decoder parses malformed TIFF files, eventually leading to a heap overflow. to cause a heap buffer overflow via specially crafted TIFF graphics. stack buffer overflow vulnerability appears when DOTRANGE tags are processed. by RSA in 2013. It was operated by a Russian underground economic organization. 500,000 computers and 25,000 servers in Linux, FreeBSD, OpenBSD, OSX and Windows(Cygwin). 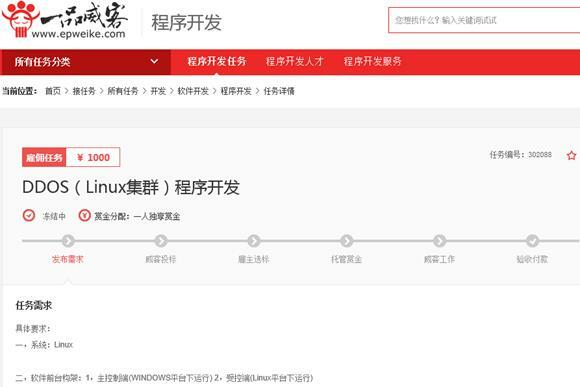 displays a public reward of 1000 YUAN for DDoS programs. Bash, he said it was unnecessary and the media would not pay more attention. threatened. So what kinds of threats can be called “serious”? all computers start their countdown during the outbreak of Blaster. how many variants exist. A threat pursues value and discovers vulnerabilities. In DOS era, PC is just like an isolated island. or money assets may happen thousands miles away. be proud of what he or she does in related reports. cause the collapse of a thousand-mile dyke. is poured all our efforts? empty-handed and do not care about concern and applaud. but our peers abroad make progress in a silent way. The hundred pages of W32. drag ourselves in the Internet quarrel. 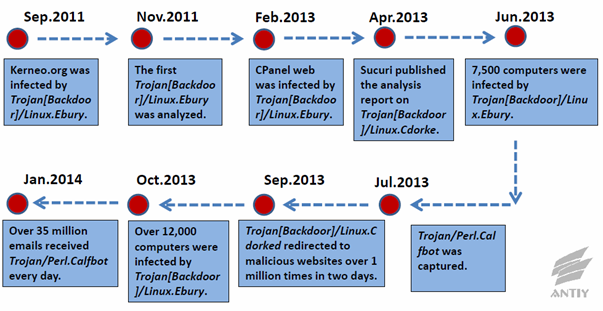 is why we continue to make research on Bash and related malware.